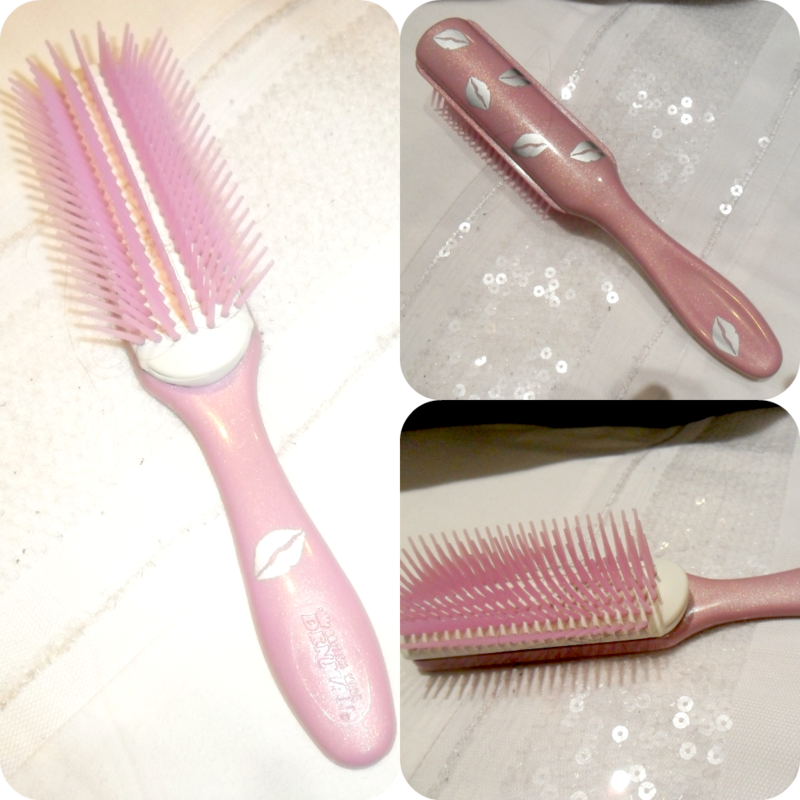 LaBellaVida: Feeling Kissable with Denman D3 Pink Kiss Hair Brush! Feeling Kissable with Denman D3 Pink Kiss Hair Brush! I recently received a very exciting package in the post and I have to share it with you guys as it is absolutely beautiful! I get super overly excited about anything pink or glittery - its a girl thing! And so when I was sent this by the lovely people at Denman I knew instantly that I would love it! You probably have all heard of Denman as they are a pretty well known company due mainly to their amazing hair brushes! I haven't previously owned a Denman brush however I've heard amazing things and have always wanted to try one! 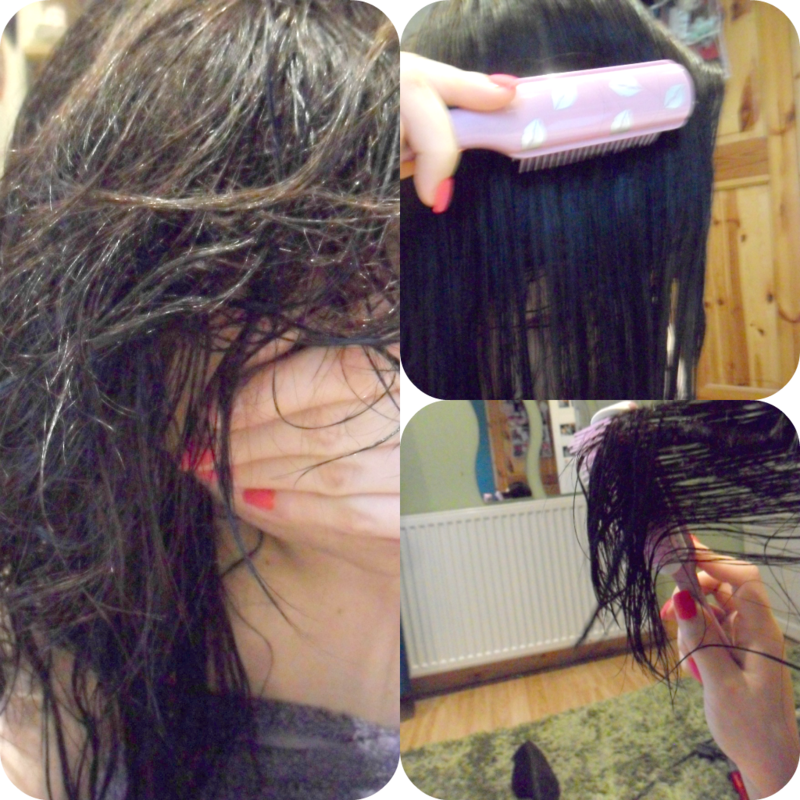 So, when I was contacted about reviewing their new D3 Pink Kiss hairbrush, I obviously jumped at the chance! The brush is a romantic twist on the famous Denman classic D3 hair brush which a lot of you have probably tried or already own as it won best all rounder in the "Your Hair" product awards 2012! This version is different in that it is sparkly pink with little silver kisses over it, it's a girly girls dream of a brush! Putting It To The Test! The Denman D3 Pink Kiss brush has an anti-static rubber pad to give you maximum grip and control while blow-drying and is designed to smooth, shape and polish the hair, so naturally, I thought I would put this to the test for you guys! So, I washed my hair and took some sexual photos of myself in a towel! The first thing about this brush that I love is that it did not tug my hair at all despite it being wet, which I find most of my other hair-brushes do. It glides through my hair like a dream and doesn't feel as though it is snapping my hair as it goes. After blow drying, this brush had left my hair super shiny and soft, good enough in fact, that i didn't even bother straightening or styling it at all! Definitely reccomend. Here's the end result, me loving my Pink Kiss Brush! Overall, i feel as though this is my new brush crush! Its stylish, cute, really girly, effective and small enough to fit in your handbag so you can take it anywhere you go! Whats more, as valentines day is now upon us, this pretty little hair brush is the perfect gift if your after something to hint to your lad this February! Or even a little cheeky valentines gift to yourself at only £7.31 and it comes with a beaut free lip balm! Have beautiful, kissable hair, and lips! And you can buy this exact hair brush with your free cute little lip balm if you're interested by clicking here! 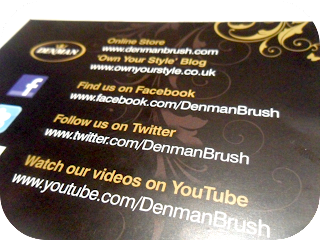 Have you tried any Denman brushes? If so which ones do you recommend i try next? I'm tempted to try their Head Hugger Brushes! I'm sure I love them so much that my boyfriend has grown to hate anything pink or glittery haha! No problem and thank you, I'm now following you too. Aw thank you hun, I've been nominated s few times so I'll have to get round to doing them! Spring Series #1 - Babyliss Volume Waves! Rimmel Apocalips Lip Lacquer Review! Men & Womens S/S 2013 Fashion Guide! OOTD - Wishing it was Spring!